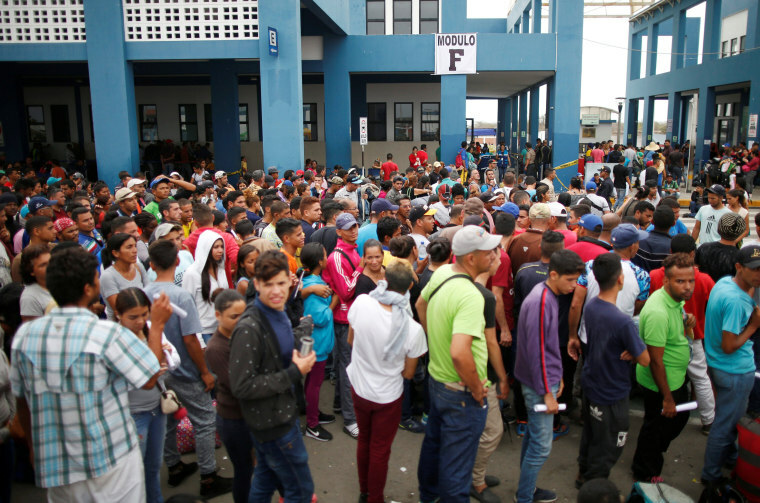 Three million Venezuelans have fled economic and political crisis in their homeland, most since 2015, the United Nations said on Thursday. The exodus, driven by violence, hyperinflation and shortages of food and medicines, amounts to around one in 12 of the population. It has accelerated in the past six months, said William Spindler of the U.N. High Commissioner for Refugees (UNHCR), which appealed for greater international efforts to ease the strain on the country’s neighbors. U.N. data in September showed 2.6 million had fled. “The main increases continue to be reported in Colombia and Peru,” Spindler said. Colombia is sheltering 1 million Venezuelans. Some 3,000 more arrive each day, and the Bogota government says 4 million could be living there by 2021, costing it nearly $9 billion. Oil-rich Venezuela has sunk into crisis under Socialist President Nicolas Maduro, who has damaged the economy through state interventions while clamping down on political opponents. He has dismissed the migration figures as “fake news” meant to justify foreign intervention in Venezuela’s affairs. The International Organization for Migration (IOM) and UNHCR said the exodus was straining several neighboring countries, notably Colombia. Regional government officials are to meet in Quito, Ecuador from Nov 22-23 to coordinate humanitarian efforts.